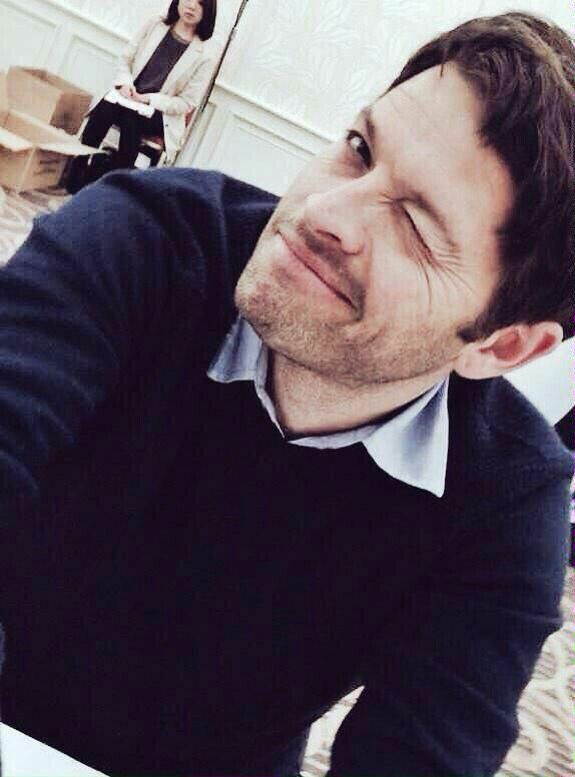 Someone I look up to is Misha Collins. Growing up, he and his family didn’t have a lot of money. His mother often turned to food banks and charities, and sometimes lived on the streets. Despite his hardships in his earlier life, he has become a successful actor, most notably playing Castiel on the TV show Supernatural. With his influence on his fans, he has started two charities for homeless woman and families in the Washington area, called I Wish For This and Random Acts of Kindness. A class that I am really enjoying this semester is gym. I really like it since it helps me get rid of some of my stress, and I have it first thing in the morning so I’m wide awake for the most part of the rest of the day. I’ve learned a whole bunch of new sports that I have played before, but never the right way. In my old school, our gym teacher just assumed that we were experts on every sport in existence, but Mr. Smith explains the sports really well and helps us to get better at them. He’s also very encouraging so I really enjoy gym this year. I’ve never really liked gym class and I was very happy that this was the last year that I had to do it. However, now that I have a good gym teacher I actually really enjoy physical education and I’m going to go on to do Gym 20 and 30. Spring is my favourite season, next to fall. I really enjoy spring since it starts to get warmer out, but not a sickly warm like it is in the summer. Flowers are another thing that make spring my favourite season. A few days ago I ordered free seeds from the Bring Back The Bees campaign, run and founded by Cheerios. In this packet there will be dozens of seeds for flowers that produce much pollen for the bees. Bees play a huge part in the world’s agriculture, but their populations are declining rapidly. So, I’m going to play my part in the conservation of these vital creatures and plant more flowers for them. The Nightmare Before Christmas is a movie produced by Tim Burton and directed by Henry Selick. The unique music for the movie was written by Danny Elfman, who also sang for the part of Jack Skellington, the protagonist. The film is based on a poem with a dark twist written by Tim Burton as a parody of sorts for the popular Christmas poem “A Visit From St. Nicholas”. This film is my all-time favourite, due to the extraordinary music and the huge amount of effort put into the creation of the movie. The movie is a stop-motion film, and it required hundreds of individual pictures. The music is very original as well as catchy. The Nightmare Before Christmas is the only movie that I am able to watch numerous times without getting bored or annoyed, since I always notice something new. In conclusion, The Nightmare Before Christmas is an amazing movie with beautiful graphics and even better audio. My favorite holiday tradition is going to my mom’s side of the family’s ranch during the summer. The ranch is about twenty kilometers away from my hometown, Drumheller. All of our cousins, aunts, uncles and close relatives come to the ranch to spend a week or so with everyone. We spend the morning of July 1st in Drumheller, where we watch the parade with my younger cousins Robbie and Ciaran. My brother and I are very close to Robbie. People often mistake us for siblings since Robbie looks so much like us. After the parade we go back to our ranch and we have a fire and go down into the coulees and go quading in the prairies. Drumheller always has fireworks the evening of the 1st of July when it gets dark out, close to midnight, and we all walk up a hill where we are able to see them from our ranch. After that day is over, we spend another few days with everyone, just catching up and relaxing.